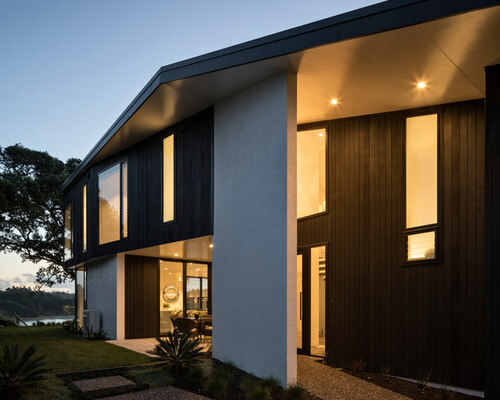 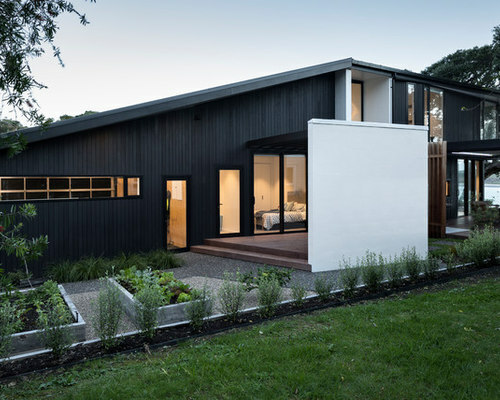 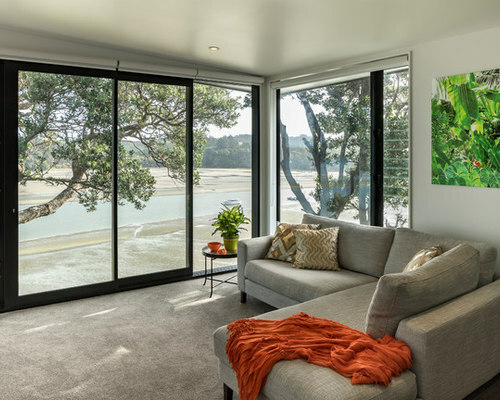 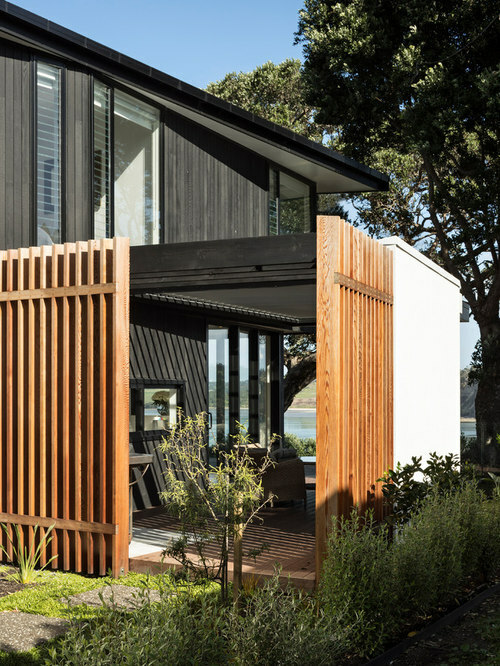 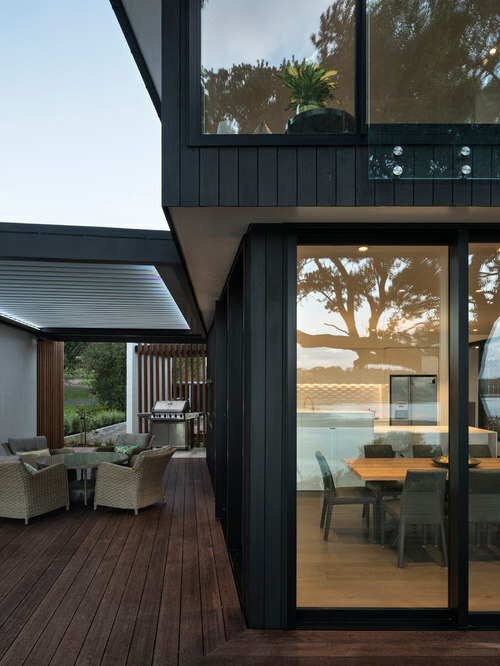 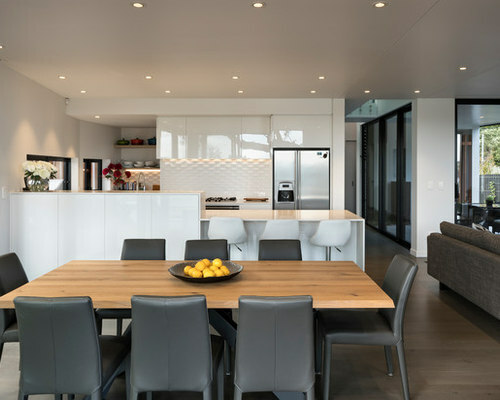 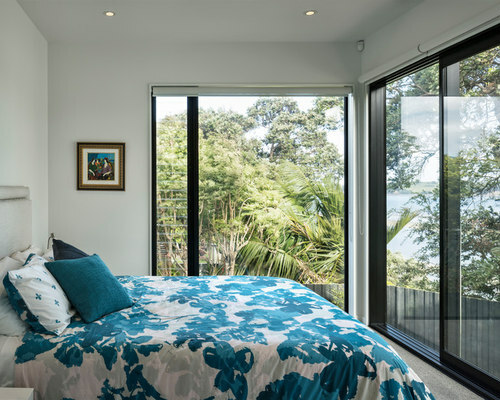 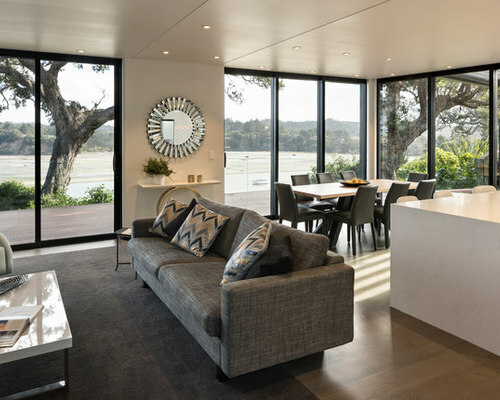 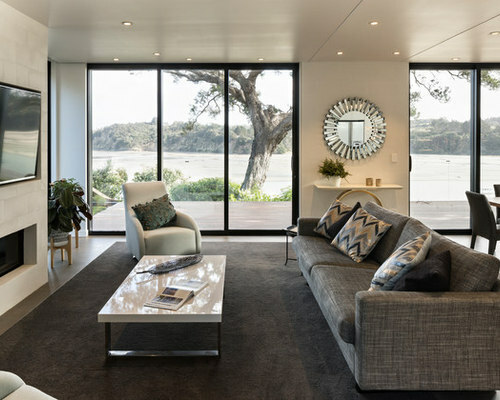 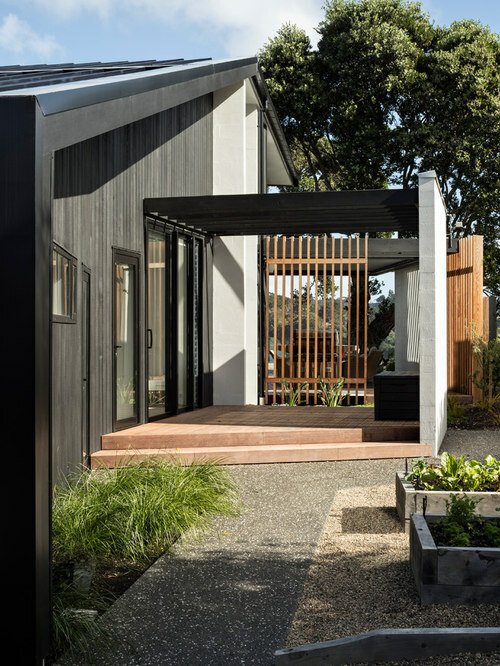 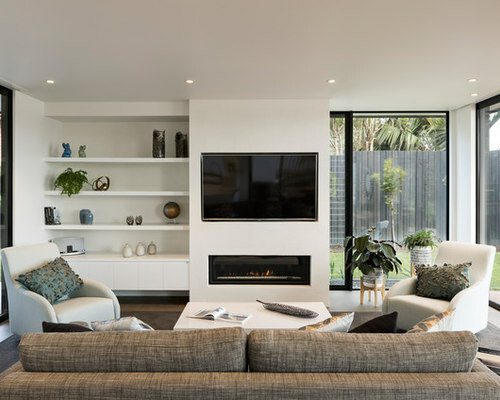 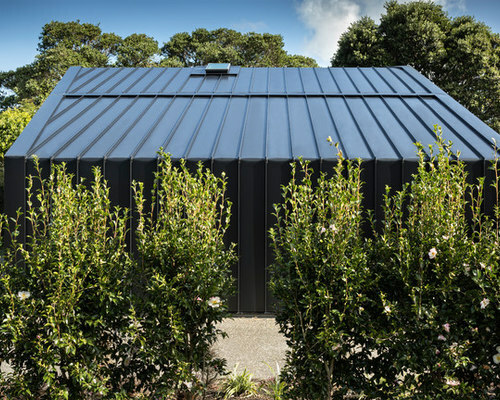 This new home in Whangaparaoa is nestled amongst the branches of protected Pohutukawa, looking through greenery to the Wade River as it flows into Arkles Bay. 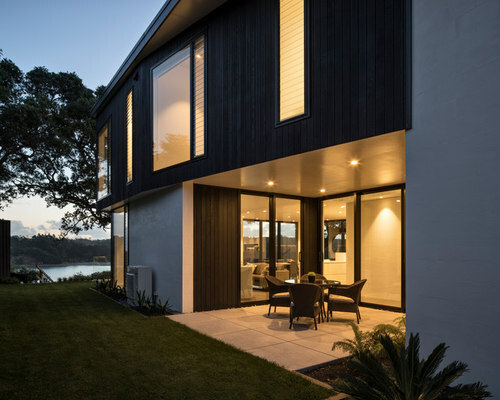 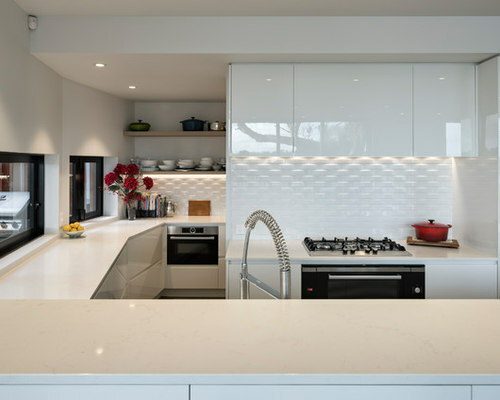 The brief for this project involved a new four bedroom home, with complete privacy from the street and maximum views over the water. 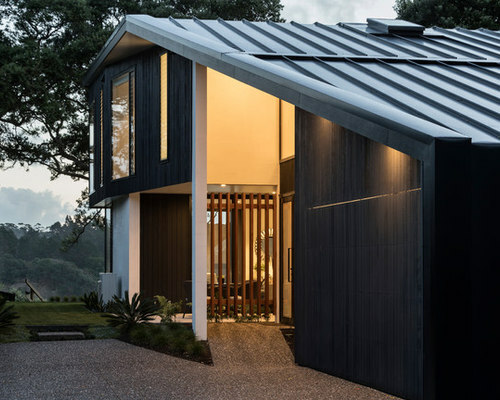 Fulfilling this purpose, vertical metal cladding wraps up and over an enigmatic angular form that sits close to a cliff edge. 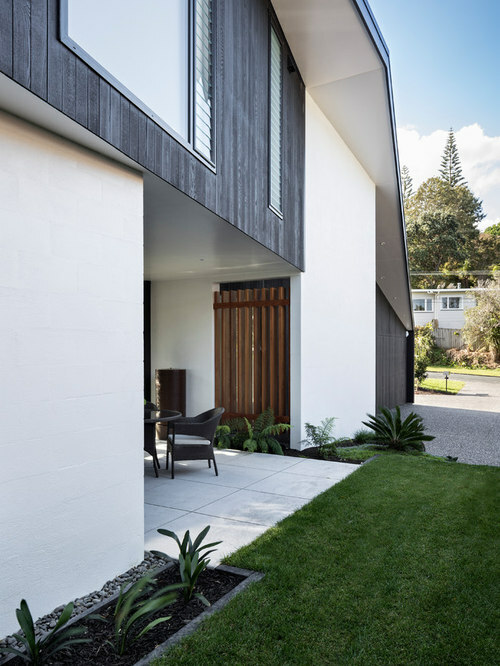 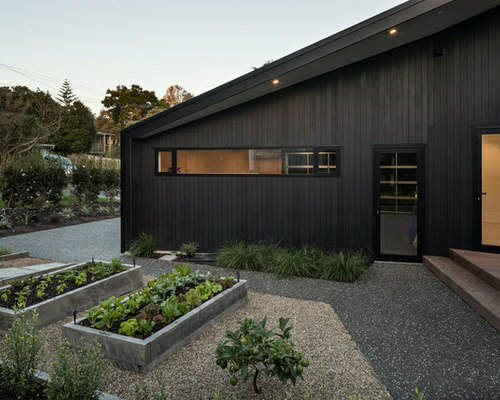 From the street, glimpses of glazing, living areas, vertical cedar cladding and low-maintenance bagged masonry can be seen from oblique angles. 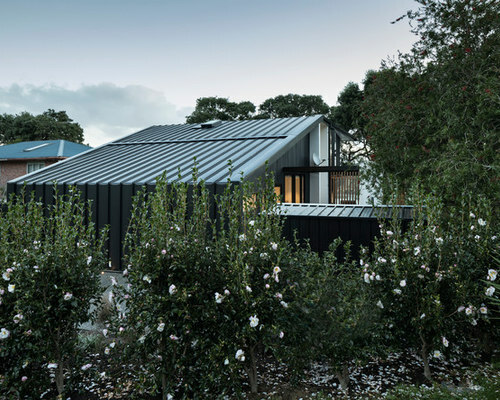 However, the visual impact of the metal cladding cutting through the centre of the site draws the eye, and provides a sense of the mysterious. 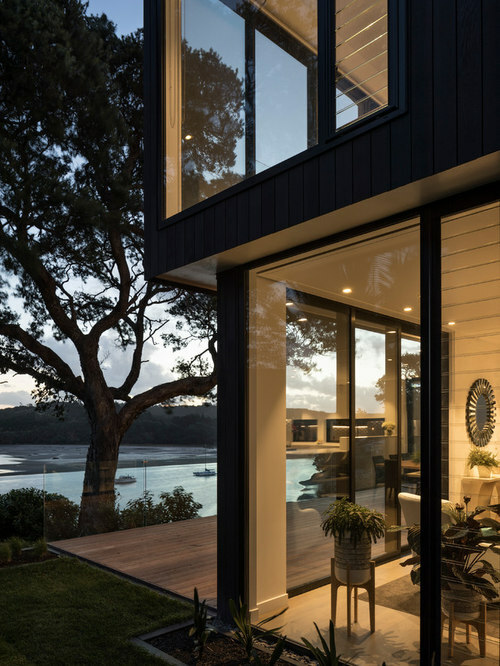 To the rear of the site, façades are softened with the careful combination of materials and forms, with generous glazing looking out to the bay. 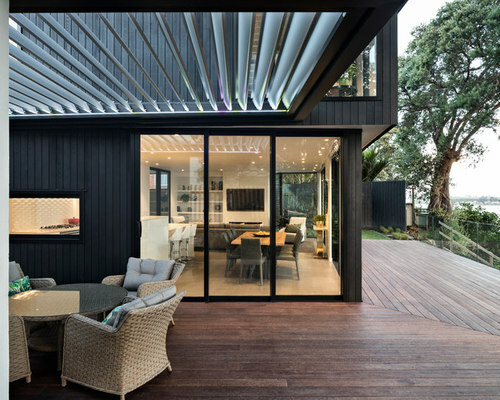 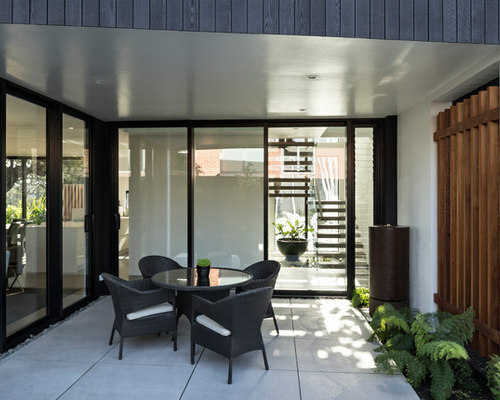 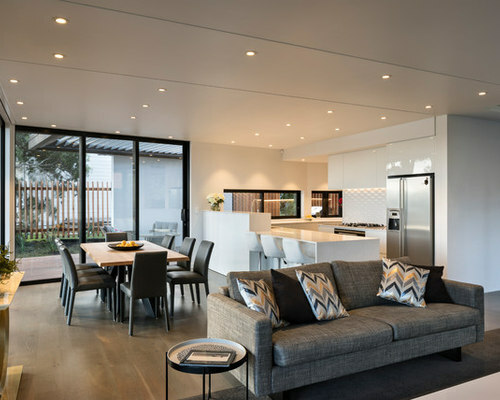 A number of outdoor living areas are apportioned along three edges of the home. 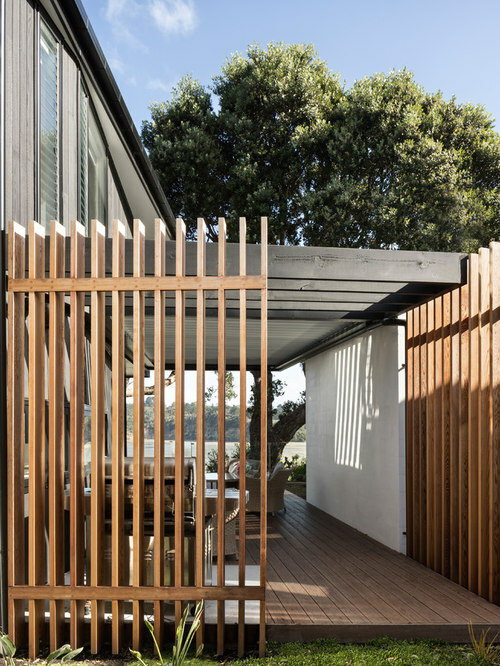 These are screened and sheltered to provide protection against prevailing and unpredictable winds. 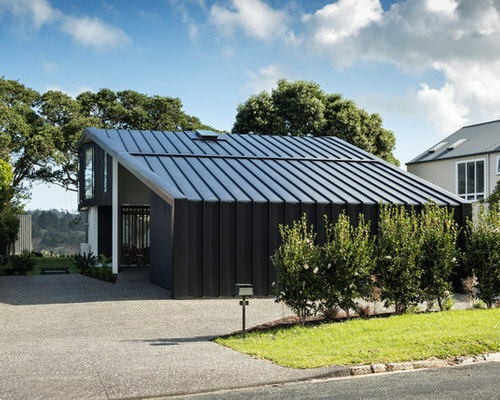 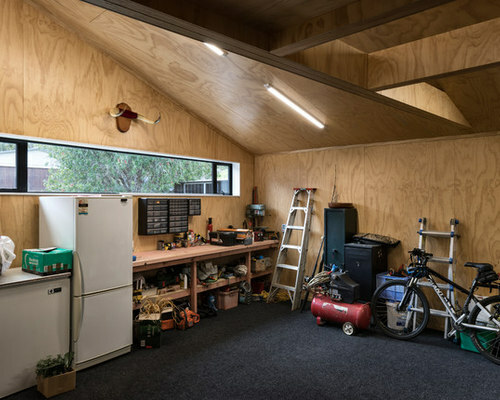 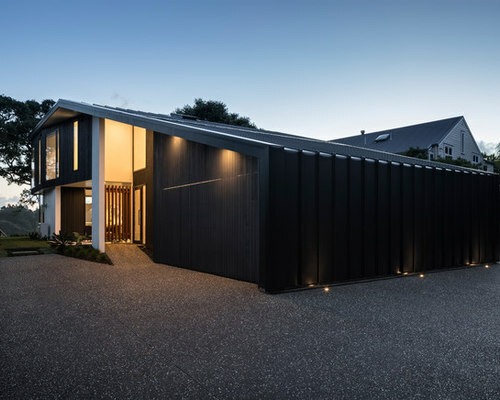 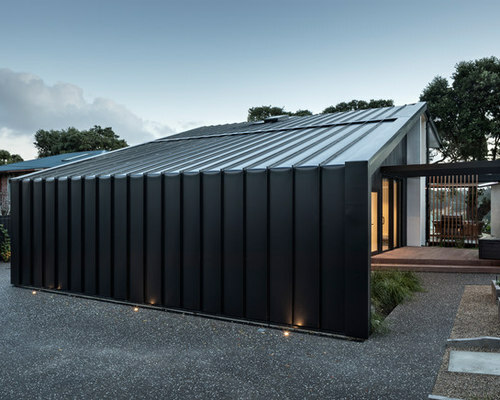 The angular roof form ties a single storey garage to the first floor bedroom and living spaces, folding gently over the rectangular south-eastern façade. 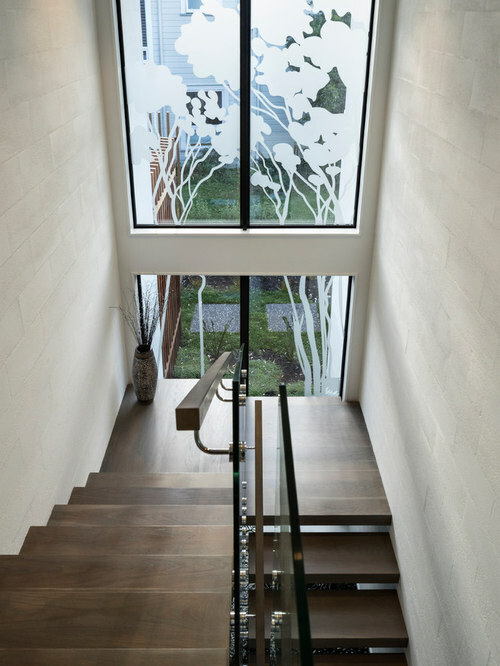 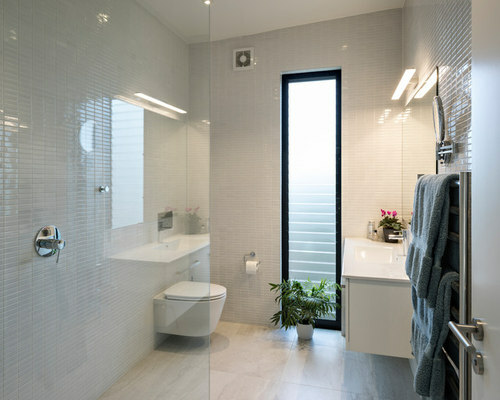 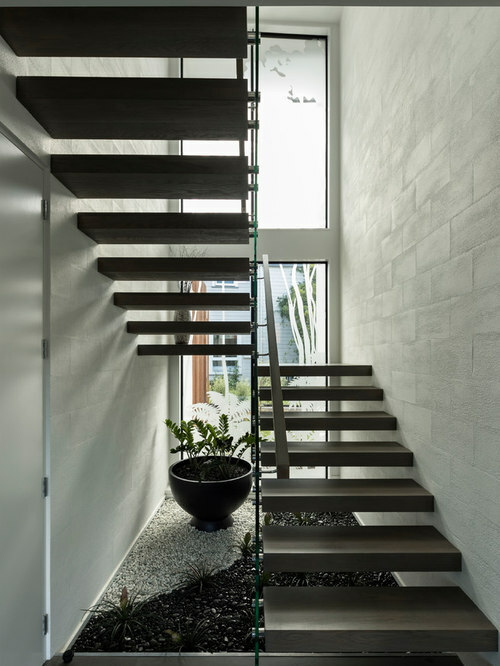 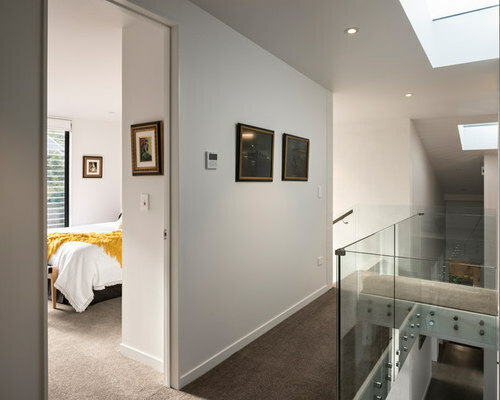 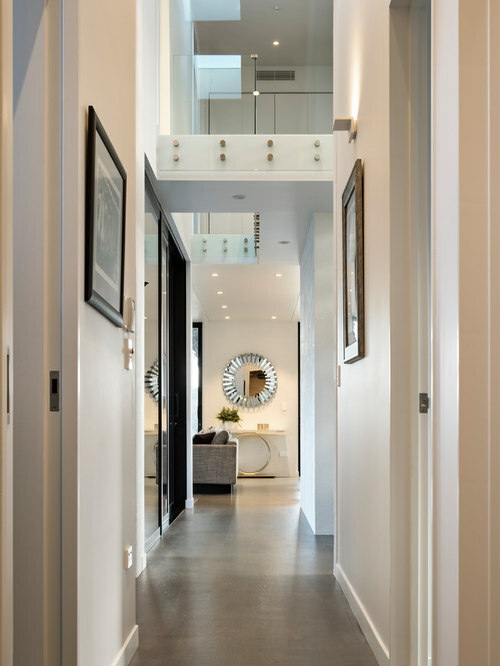 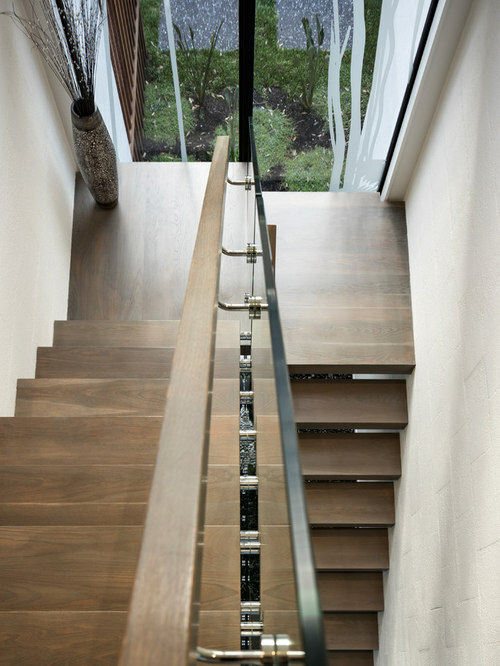 A central stairwell framed by double-height glazing works in tandem with an aligned skylight and void, creating a light well through the heart of the home over an interior garden.